Paul Joseph Sachs (1878–1965), first chairman of the Dumbarton Oaks Administrative Committee. After its inauguration, the Dumbarton Oaks Research Library and Collection was overseen by an Administrative Committee (called the Administrative Board until 1942). The Administrative Committee was responsible for recommending the appointment of staff and fellows, preparing an annual budget, giving oversight to book and object acquisitions and to the maintenance of the gardens, and establishing academic programs. By 1941, the Administrative Committee met at least four times a year and reported directly to the Trustees for Harvard University (the President and Fellows of Harvard College). The committee’s recording secretary was the executive officer of Dumbarton Oaks, who reported to the committee and was responsible for the daily operation of the institute and its activities. The majority of the early Administrative Committee meetings were held in Cambridge, Massachusetts, at Shady Hill, the home of Paul Sachs and the former home of Charles Eliot Norton. Paul Joseph Sachs (1878–1965), a Harvard professor and associate director of the Fogg Art Museum, chaired the Administrative Committee during Dumbarton Oaks’ first decade. He would remain chair of the committee until 1951. His position on the Committee was due in large part to the fact that, since the early 1930s, he had advised the Blisses on the creation of the research institute. Moreover, the Blisses initially had envisioned that Dumbarton Oaks would be a branch of the Fogg Art Museum, a plan that was abandoned before 1940. Sachs studied art history at Harvard and graduated in the class of 1900, which was also Robert Bliss’s graduating class. After working as a partner in his family’s financial firm, Goldman Sachs, Sachs became assistant director of the Fogg Museum in 1915 and later associate director between 1923 and his retirement in 1945. With Edward W. Forbes, the Fogg’s director, he developed at Harvard one of the earliest museum studies courses in the United States. Edward Waldo Forbes (1873–1969) was also a member of the Administrative Committee. In 1895, he received a baccalaureate degree from Harvard. In 1898, Forbes traveled to Europe and began to study art and art history in earnest, with a focus on Italian primitive paintings, which he also began to acquire. Upon his return to Boston in 1902, Forbes continued to cultivate his interest in art and became a trustee of the Boston Museum of Fine Arts, in 1903, and of the Fogg Art Museum, in 1904. In 1907, Forbes taught his first course, on Florentine painting, at Harvard. He became lecturer in fine arts and director of the Fogg Art Museum in 1909. Forbes continued to teach throughout his years as director and was named Martin A. Ryerson Lecturer in Fine Arts in 1935. As director of the Fogg Museum, Forbes improved the physical spaces of the museum, increased its endowment, and built and strengthened its collections. 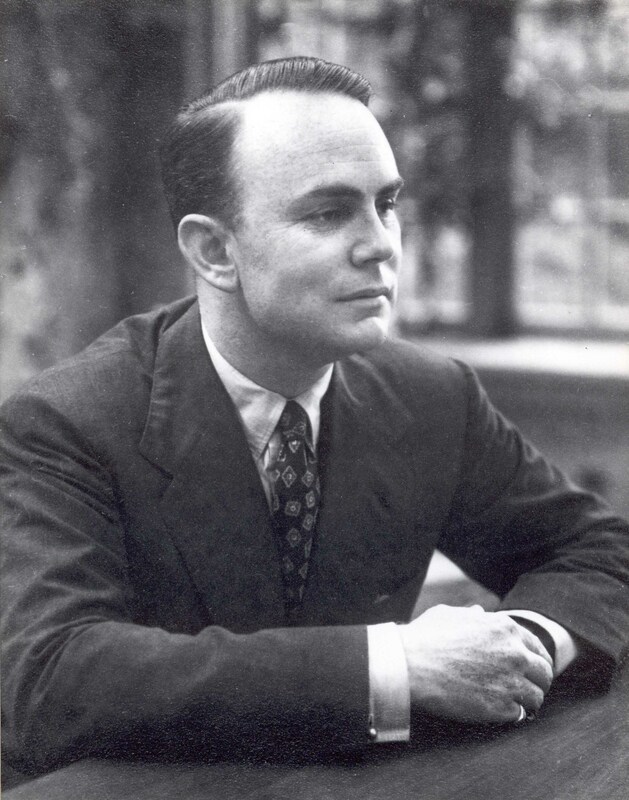 Forbes would remain on the Dumbarton Oaks Administrative Committee until 1963. 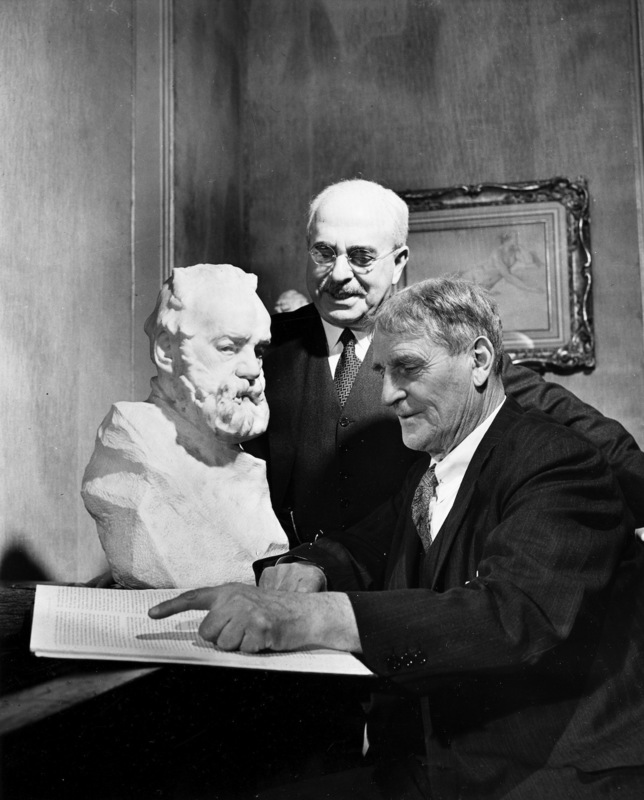 Other members of the first Administrative Committee were Charles H. Taylor, professor of medieval history at Harvard University; botanist and taxonomist Elmer D. Merrill (1876–1956), the administrator of botanical collections at Harvard’s Arnold Arboretum; and Dean George H. Chase (1874–1952). Chase had been a classical art historian and archaeologist and professor of classical art at Harvard University. In 1939, Chase became the dean of Harvard University, the first person to hold the newly created office. John Seymour Thacher (1904–1982), executive officer of the Dumbarton Oaks Research Library and Collection, served on the committee as secretary. Thacher received his baccalaureate from Yale University in 1927 and his doctorate in art history from the Courtauld Institute of Art, University of London, in 1936. Thacher began his association with Harvard in 1936 when he began work at the Fogg Art Museum as keeper of paintings and, in 1937, assistant to the directors. In 1940, he was appointed assistant director of the Fogg Museum and executive officer of the Dumbarton Oaks Research Library and Collection. He became acting director of Dumbarton Oaks in 1945 and assumed the directorship the following year, a position in which he served until his retirement in 1969. The final member of the first Dumbarton Oaks Administrative Committee was the German medieval art historian Wilhelm R. W. Koehler (1884–1957). Koehler studied art history in Strassburg, Bonn, and Vienna, where he wrote his dissertation in 1906. The following year he began a project to publish illuminated manuscripts, Die karolingischen Miniaturen, for the Deutsche Verein für Kunstwissenschaft. The scope of the task was such that the first volumes appeared only in 1930–33. Koehler came to Harvard in 1932 as the Kuno Franke Visiting Professor of German Art and Culture. When Harvard medievalist A. Kingsley Porter died in a drowning accident the following year, Koehler was asked to replace him. Between 1941 and 1943, Koehler served as senior fellow in charge of studies at Dumbarton Oaks, where he organized the academic program. He assumed the task enthusiastically as he saw an opportunity to lead advanced research in a manner comparable to what he had known as a student in Vienna.